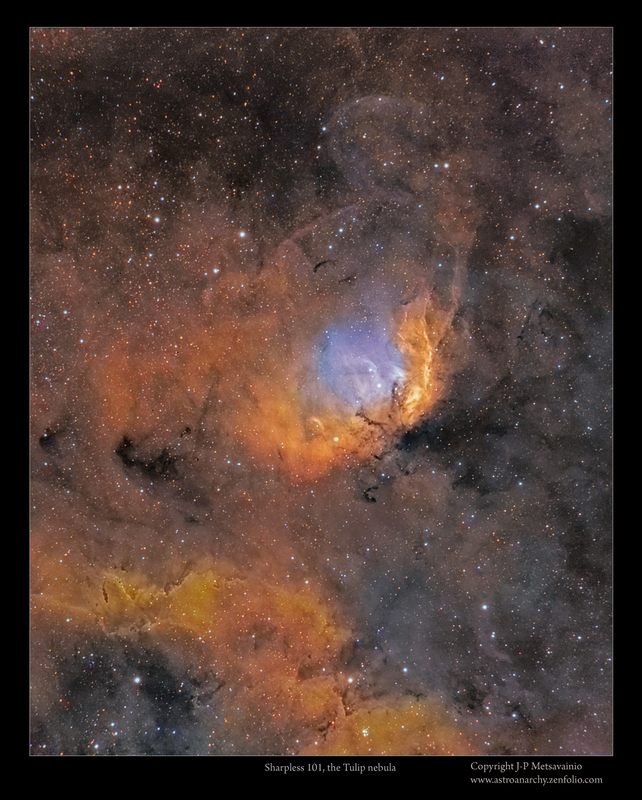 Explanation: Framing a bright emission region this telescopic view looks out along the plane of our Milky Way Galaxy toward the nebula rich constellation Cygnus the Swan. 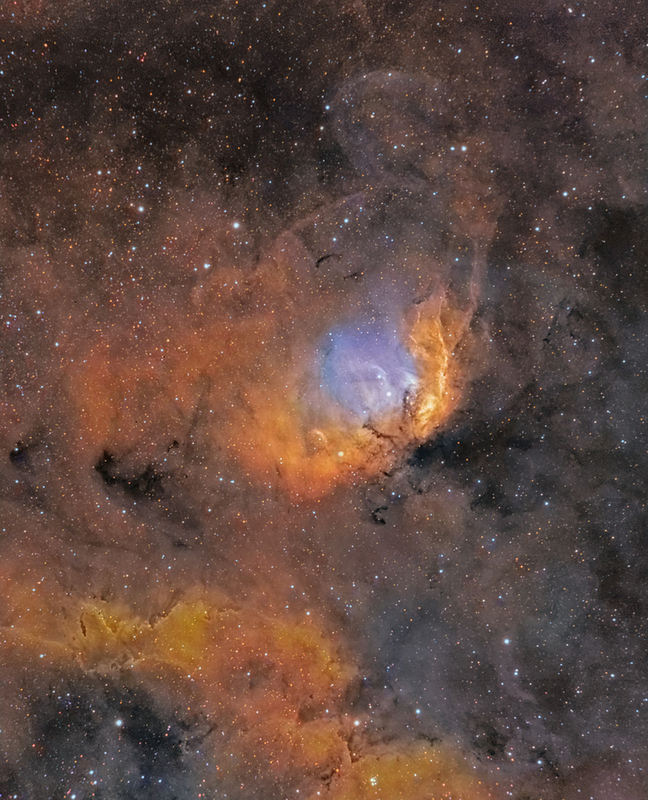 Popularly called the Tulip Nebula the glowing cloud of interstellar gas and dust is also found in the 1959 catalogue by astronomer Stewart Sharpless as Sh2-101. About 8,000 light-years distant and 70 light-years across the complex and beautiful nebula blossoms at the centre of this composite image. Red, green, and blue hues map emission from ionized sulfur, hydrogen, and oxygen atoms. Ultraviolet radiation from young, energetic stars at the edge of the Cygnus OB3 association, including O star HDE 227018, ionizes the atoms and powers the emission from the Tulip Nebula. HDE 227018 is the bright star very near the blue arc at the cosmic tulip's centre. Glowing across the electromagnetic spectrum, microquasar Cygnus X-1 and a curved shock front created by its powerful jets lie toward the top and right.